One of the first terms you hear bandied about at the poker table is 'position'—as in "I've got position on you," or "I hate getting this hand in early position." Position in poker refers to where a player sits in reference to other players. If someone says "I've got position on you," it means they're sitting to your left and will always act after you. 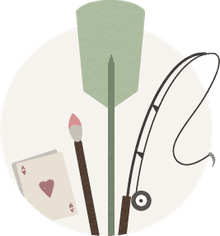 Most often, position is used to define where a player sits relative to the dealer and whether you'll be first or last to act in a round of betting. Your position at the table is always relative to the dealer for that hand's position. That's one of the reasons the deal rotates around the table in poker, so that everyone gets equal time in every position. Being in the dealer position, or "on the button," is the most desirable position in poker in flop/community games like Texas Hold'em, since after the flop, the person on the button will always be the last to act in each round of betting. Being last to act means you have seen everyone in the hand take an action before you have to take one. This is a huge advantage and means you can get away with playing more marginal hands on the button. 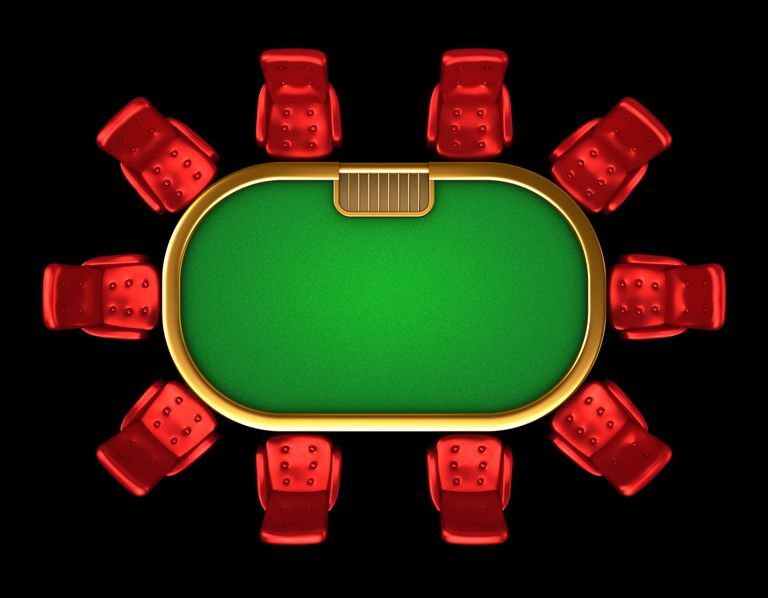 Players to the three seats to the left of the dealer are said to be in "early position." This is considered the worst position in poker, since you have to act first without knowing how any of the other players are going to play their hands. Because you have to decide whether to bet, check, fold, or raise without a lot of information on the other players, it's a good idea to only play the best of the best of cards here, cards that can carry the day with their power alone, needing no help from fancy moves from the player. Early position is sometimes abbreviated "EP." The players highlighted above are in middle position. It is what it sounds like, and it's sort of a middle-of-the-road position all around. You get to see how the poker players in early position play their hands before you have to act, but there are still a few pesky players to follow you. In general, you can play a little bit looser in middle position than early position, but you still need to be cautious. Middle position is sometimes abbreviated "MP." The best position to have in poker is late position, which is defined as the dealer and the players just to his right. Being in late position allows you to have a lot more information about how the hand is going as you've seen how the majority of the table has decided to play their cards before you have to make your own choice of whether to call, bet, raise, or fold. If you're not the button, it can even be advantageous to raise a little more aggressively from the positions next to the button to try to "buy the button," improving your position if you get the button to fold. Additionally, if no one has bet in a round, the players in late position may win the pot simply by betting. This is called 'betting position.' Many poker players know about betting position and may call a bet as a bluff when the dealer or one before him bets, but it works often enough that it's worth trying once in a while. Late position is sometimes abbreviated "LP."